Launching Milton Keynes with a BANG! 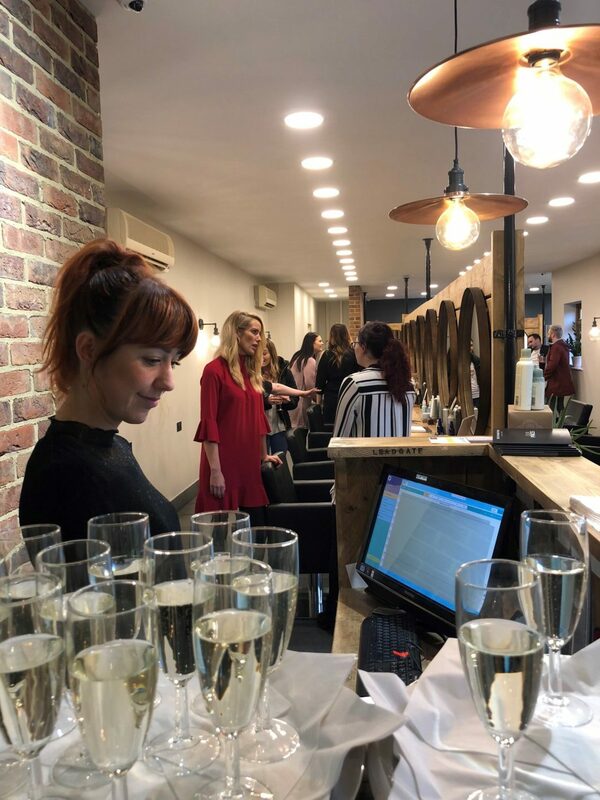 To celebrate the opening of our brand-new salon at Brooklands Farm, Broughton, we held the ultimate launch party at our brand new luxury five-star salon in Milton Keynes. To create the biggest launch party possible for the people of Milton Keynes, we joined forces with luxury beauty salon and neighbours at Brooklands Farm, Dermaspa. The deluxe beauty salon team joined team us to offer complimentary consultations, beauty tips and answer any questions that guests may have about all things beauty. They also took the opportunity to demonstrate new body treatment, coolsculpting®, the innovative answer to melting away body fat. Guests to the launch were treated to 10% off an array of retail from the likes of ghd, Cloud 9 and Aveda as well as hair demonstrations and tutorials in the latest trends in braiding. Complimentary blow-dries, mini-facials and hand massages were also the order of the day for attendees who booked in with the salon in advance. Party goers also enjoyed a range of refreshments such as prosecco and orange juice along with delicious cupcakes locally sourced from Gardiner’s Bakery in our flagship salon’s home in Northampton. Why not check out Seckingtons Milton Keynes for yourself? Book in for an appointment now!